There's no place like the Florida Keys. And your family's adventure will be just as unique. Discover unusual ecosystems in the Everglades. Snorkel among a rainbow of colorful fish. Paddle over crystal clear waters. Pedal along bike paths in the sun. 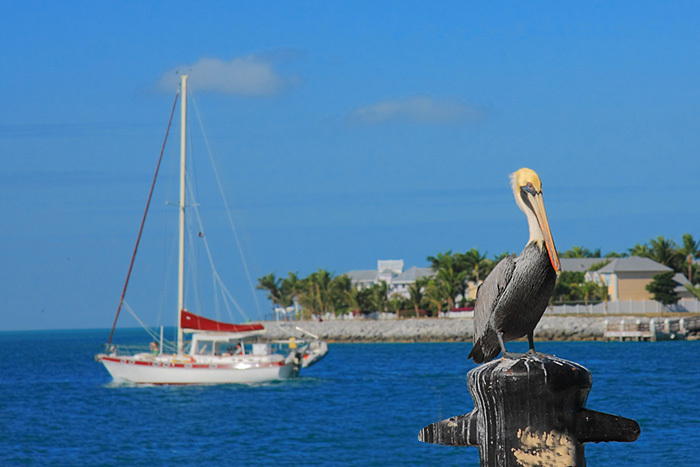 Immerse yourself in the tropical vibe of the Keys as you make your journey to the southernmost tip of the continental United States. 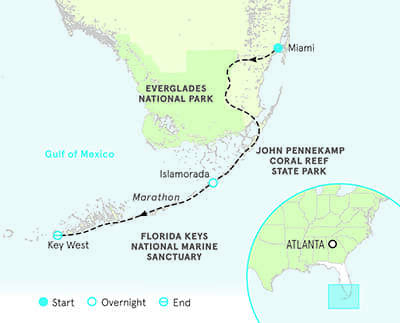 Day 1 From bustling Miami, head to The Shark Valley Visitor Center and into incredibly diverse Everglades National Park, poetically referred to as a river of grass | Pedal on a car-free bike path through the park's wetlands—keep an eye out for herons, storks and sunbathing alligators! | Venture through the fascinating swamp habitat on a private airboat tour and learn more about the rare flora and fauna that call this delicate ecosystem home | Travel from the Everglades to Islamorada (Village of Islands) in the Florida Keys, where sea and fun await. Days 2-3 Enjoy shallow-water snorkeling in its protected coral reef looking out for spiny lobster, angelfish and eagle rays—and with luck, a sea turtle or two | Kids learn to fish like the locals and visit the Dolphin Research Center to meet and learn about these playful sea creatures | Join the revelers at the Sunset Festival in Key West, brimming with street performers and local artisans. Days 4-5 Pedal along the Overseas Heritage Trail, peering into clear waters for the chance to see rays or sharks and ride past the Southernmost Point and Mile Marker 0 | Visit the sandy beaches at Fort Zachary Taylor State Park and take a dip in the hotel's pool | Embark on a sunset sail in the Florida Keys National Marine Sanctuary, home to the world's third-largest coral reef | What better way to cap off your adventure than exploring the unique mangrove ecosystems and calm blue-green waters of backcountry Key West on a stand-up paddleboard! 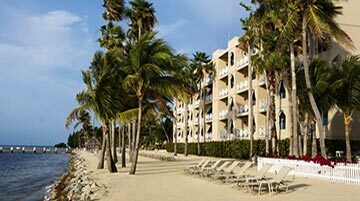 From $3,599 - $5,599 pp dbl. occ. Backroads is the only travel company to manufacture its own line of kid's bikes. While the wheels might be small, the performance is big—it's the perfect choice for kids. 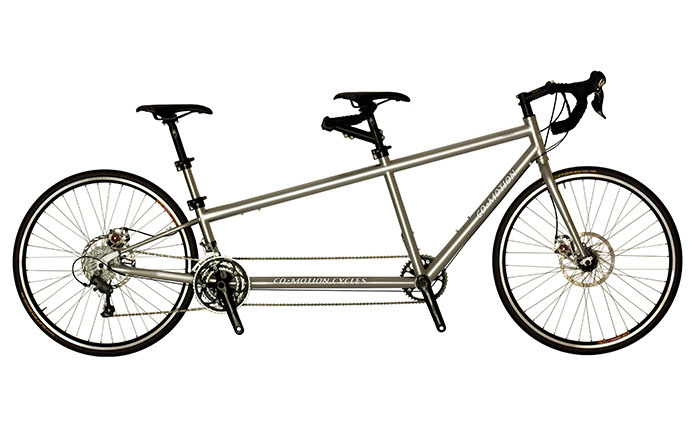 On all Backroads Family Trips, you'll find 20" and 24" bicycles for the younger set. 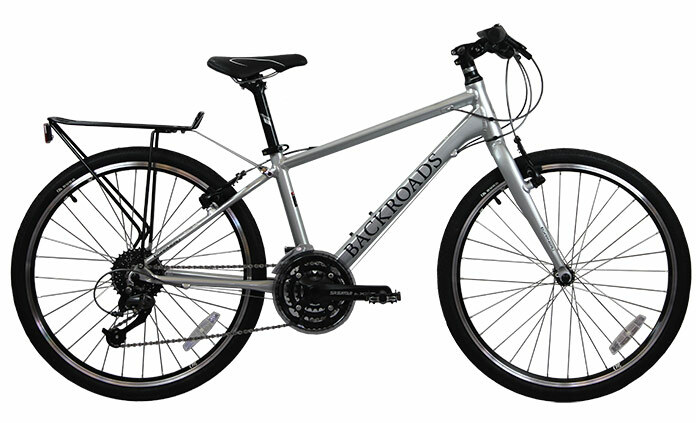 They say good things come in small packages; when it comes to bikes for kids of all ages, Backroads is the expert. 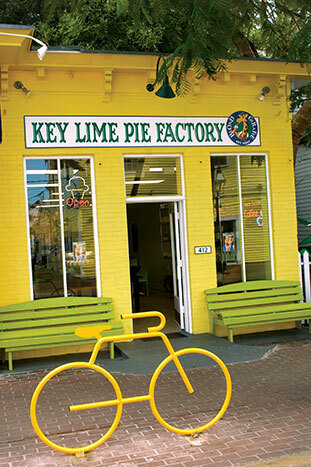 The Florida Keys have a unique charm all their own. 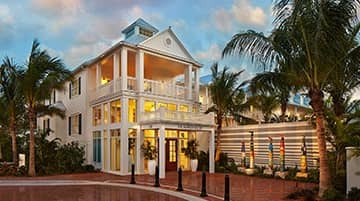 You'll bike past the meticulously restored Victorian homes of Key West, cruise ships parked offshore, a few strip-malls and the occasional tackle shop. 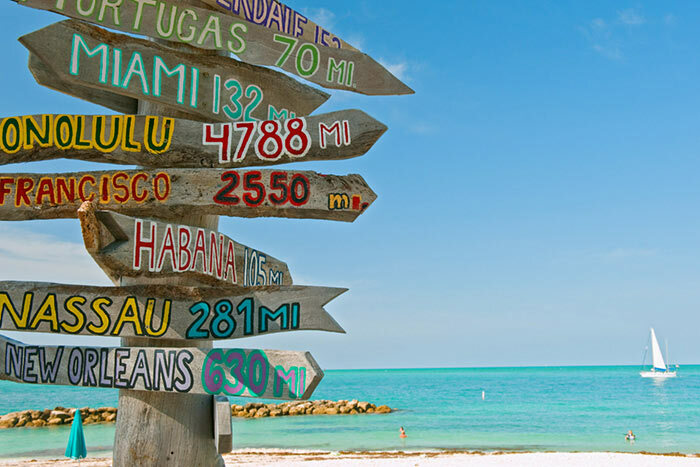 Isolated sandy beaches are few and far between in the Keys; instead it's the vibrant character, fascinating history and quirky culture that make the keys such a one-of-a-kind destination. The Keys have their share of crowds and traffic—especially over peak holiday and spring break months, when it is not uncommon to experience traffic delays and slow service during meals. Not to worry, we have built plenty of time into the itinerary to account for the relaxed pace—which the locals call "Keys Disease"! 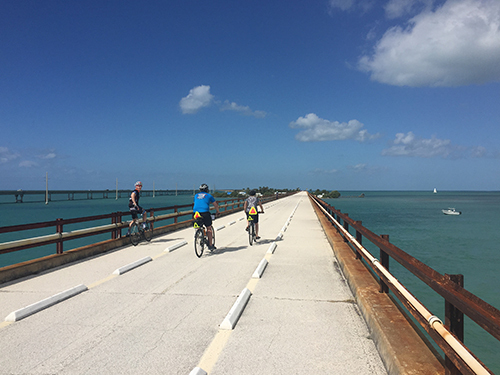 The Keys' narrow islands are connected by the Florida Keys Overseas Heritage Trail, which allows us to travel through them on dedicated bike paths. These paths are flat—perfect for laid-back spins—and run parallel to the highway. Please note that cars will typically be within view and you'll occasionally have to cross the main road. Water activities in the Keys are weather dependent. In the case of bad weather, alternative activities will be planned. In colder months, the water temperatures average 70 degrees and wetsuits will be available. When everyone's together, there's lots going on; and when kids' and adults' priorities diverge, it can seem like two different trips. 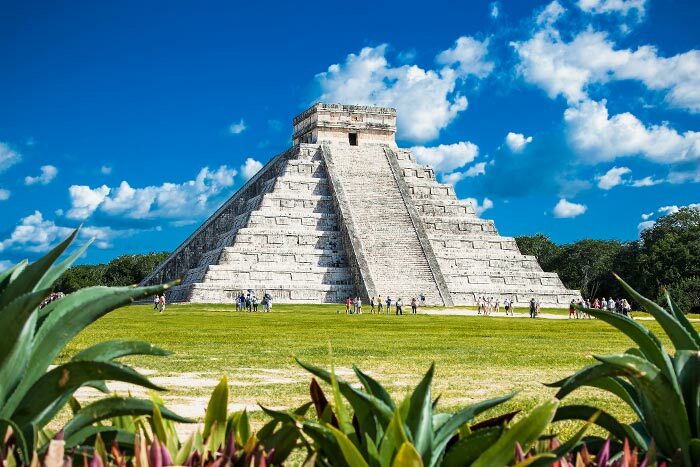 That's why our Family Adventures in Everglades and Key West have three Trip Leaders—including a dedicated Kids Activity Expert who regularly takes younger travelers off to do their own thing. Other companies try to get by with two leaders; we step up and do it right. For more on our family focus, check this out. We design and support our Everglades and Key West trips to suit mixed abilities and varied interests—so you can set your own pace, then change things up as the day unfolds. And all guests are free to do the same, traveling together or apart, with no one cramping anyone else's style. Which sounds easy in theory, but it's hard to pull off. Here's more on how we do it. It may be hard to imagine being on a family trip with no other families on it—but it happens regularly with some companies. On a Backroads Family Adventure there are typically several families on each departure, creating more opportunities for your kids to make new friends as they try fun things together – which is a big part of the experience. Coordinating multiple activities throughout a single day can be tricky, but with Backroads you'll never know it. 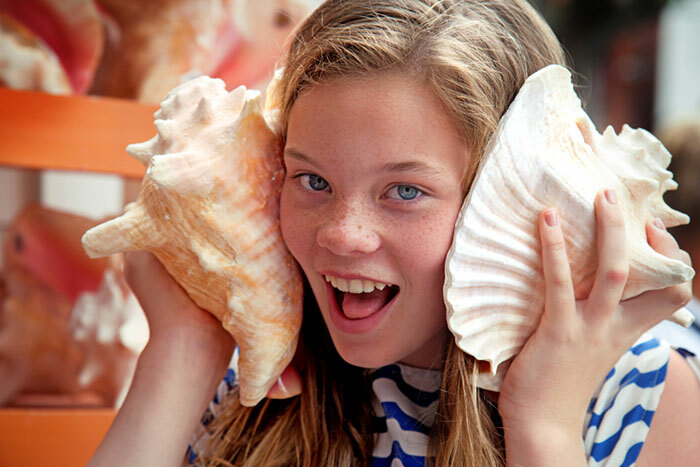 When you explore Everglades and Key West with us, you switch activities seamlessly without missing a beat. We invented the multi-adventure concept, and we're constantly adding new dimensions and fine-tuning the experience to make it even more enjoyable. Guests rave about our picnic spreads. Enjoy a welcome break in a scenic spot, or a quick refuel stop if you don't want to lose momentum. And because we have two vans, one can host lunch while the other is out providing support along the route. Backroads is the only active travel company providing two support vans in Everglades and Key West—because we know it's essential to ensure a truly great travel experience. It doubles our ability to be there when you need us to offer hydration, lighten your load or give you a lift if it's time to take a break. Read more on why two vans make all the difference. On our Everglades and Key West trips we have an extra leader supporting you along the road and trail—for a total of three, compared to the industry standard two. So we can be in more places at once, giving personal attention to guests traveling at their own pace. Here's more on our Trip Leaders. Backroads is the leader in designing trips that ensure everyone, young and young-at-heart alike, has an amazing time. 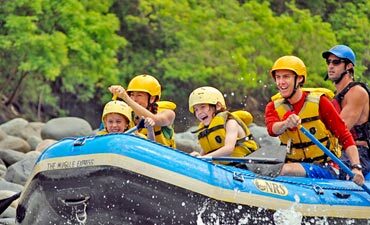 Your Backroads Family Adventure balances family activities with diversions designed exclusively for the kids—giving the adults a welcome break from making decisions, other than choosing whether to explore a few more miles or just enjoy each other's company. A family vacation where everyone gets to relax, recharge and have fun – what a concept! 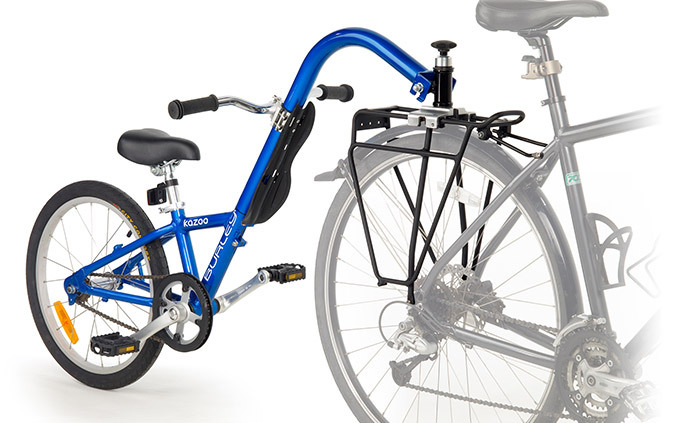 Only Backroads provides bikes specifically designed for younger riders. Find out more information on all of our kids' bikes and optional accessories. And check out Tom Hale's blog post about biking with your kids.